Chances are you have either owned, seen, or used a bird feeder. Even if you aren’t an avid birdwatcher, seeing a bird up close can be very entertaining and interesting. You have decided to put a birdfeeder up at your home, office, school or other location and you are trying to figure out which is right for you. Let us share some thoughts on reasons you may want to consider a window bird feeder. All bird feeders bring birds to you in some respect. But a window bird feeder brings them closer than you ever thought possible. You will be able to get just inches away to have a look at your favorite birds. Many bird feeders require space to hang or install a bird feeder. All you need with a window bird feeder is a glass window or door. Simple installation ensures that even the biggest novice with the smallest outdoor space can invite birds to get up close and personal. 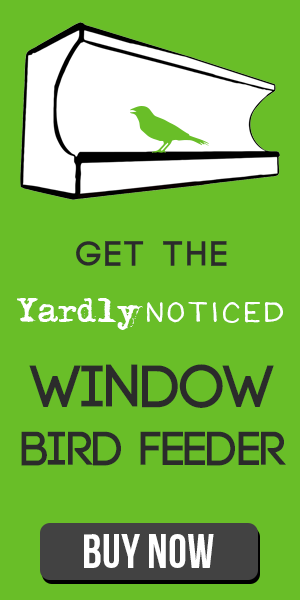 Window bird feeders ensure that you do not disturb birds why they are enjoying the seed you laid out for them. You also are able to feed birds that otherwise may have trouble locating a food source. Especially in the colder months. If you like photography then you may find the access you have to great bird pictures is unmatched. Take photos that are usually reserved for professional wildlife photographer right from your home. Encouraging birds to be close to your window will naturally lead to them eating bugs, snails, spiders and more pests that inevitably scurry, slither, and lurk in your yard. Anyone with a window bird feeder can tell you how visitors gravitate towards the window bird feeder. They want to know how the birds like it, where they purchased it, and what kind of birds they see. Kids, pets, young, old, boy or girl equally love the magic that the window bird feeder brings to a room. Spark children’s imagination and give the cat something to do instead of getting into trouble.